Investors are looking for safe-havens to protect their money from the volatility of the markets. Here are 3 ways you can keep your money stable. NEW YORK (TheStreet) -- The markets are rallying today after the "Black Monday" nightmare. But with so much uncertainty in the markets right now, investors are wondering where the market safe havens are to safeguard their money in light of the volatility. Amid fears of China's sluggish economy, the questionable Federal Reserve interest rate hike in September, and the overall health of the economy, investors are panicking. "Until we get a better idea of what is happening with Federal Reserve policy and what the Chinese's response to this turmoil may be, mainly the People's Bank of China, I think we will certainly have very volatile markets," said Bart Melek, director of commodity strategy for TD Securities. On Monday, the Dow Jones Industrial Average opened to a nearly 6%, 1,000-point decline. The Nasdaq Composite opened 4% lower, and the S&P 500 was down nearly 3%. U.S. stocks opened lower, after the dollar dropped, oil prices plunged in pre-market trading and China's main stock index reported a nearly 9% drop overnight. Tuesday, investors saw some relief, after China's central bank decided to cut interest rates fueling the momentum for the market rally. The Dow opened up 1.9% higher gaining nearly 300 points, while the S&P 500 opened 2.2% higher to 1,934 and the Nasdaq Composite jumped up 2.6%. Because of the continued volatility, the New York Stock Exchange invoked Rule 48 again for the second day, to help smooth trading at the opening. Melek said that he believes gold, along with U.S. Treasuries and U.S. currency, are assets that people should have in their portfolios. "Some portion of a portfolio should always be invested in these assets, as a matter of wealth preservation," said Melek. "Depending on what the volatility looks like and what the risks are out there." In a addition to those two investment options to park money to minimize losses, investors should also consider non-cyclical goods -- particularly in the pharmaceutical sector. Unites States Treasury bills, notes and bonds are backed by the full faith and credit of the U.S. government. This investment is safe from the roller coaster of the markets but subject to interest rate changes. "The U.S. Treasury market has benefited," said Melek. "When things go array, I think as a general rule, there should probably be positioning in these assets on an on-going basis." 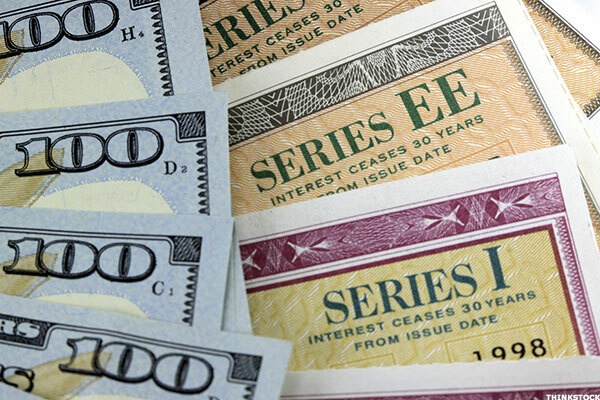 More investors are buying U.S. Treasury bonds, pushing the 10-year Treasury notes yield to below 2%. U.S. German bonds yields also declined as investors moved to these less volatile assets. Gold rallied over the last 30 days, up $56.70 or nearly 5%. 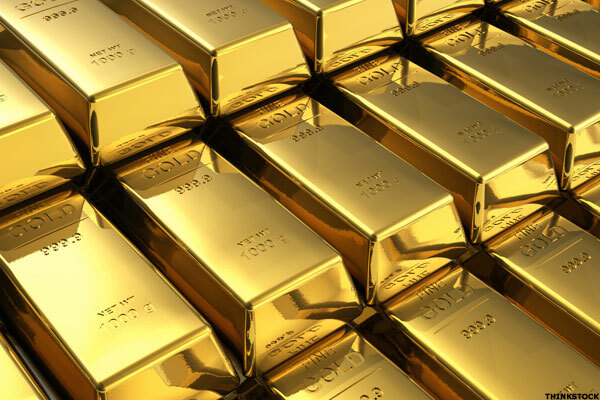 As investors seek a safe place for their investments, gold prices remain steady. "Investors are moving into gold," said Melek, "That was an asset class that wasn't doing very well until recently." In July gold was trading at its lowest price since February 2010, down 43% from a high of $1,888 in 2011. "It's really a matter of 'no place to hide,'" said Peter Hug, Kitco's Global Trading Director. "There's been money flowing into gold from a safe haven perspective." Hug said that industrial metals like silver, platinum, copper, iron, ore are not safe havens because the decline in industrial demand, but gold is holding up. "Gold is relatively firm when you compare it to its sister metals," he said. "You are seeing a deflationary environment that is growing in momentum." As the markets fell, Hug said that investors liquidated their gold. "The upside will be dependent on whether there's any liquidity left to buy the gold because right now cash is king," he added. Despite the turmoil in the stock market, the U.S. economy has been slowly improving. The demand for household and personal products, including retail drugs, isn't going to decline because of the issues in China. Consumer will still need their daily toiletries and medications. These staples are unaffected by the whims of discretionary spending. In fact, the retail drug industry is up nearly 22% over the past year, according to the New York Times economic sector analysis. Strong companies in the retail drug industry are CVS Health Corp. (CVS - Get Report) and PharMerica Corp. (PMC. 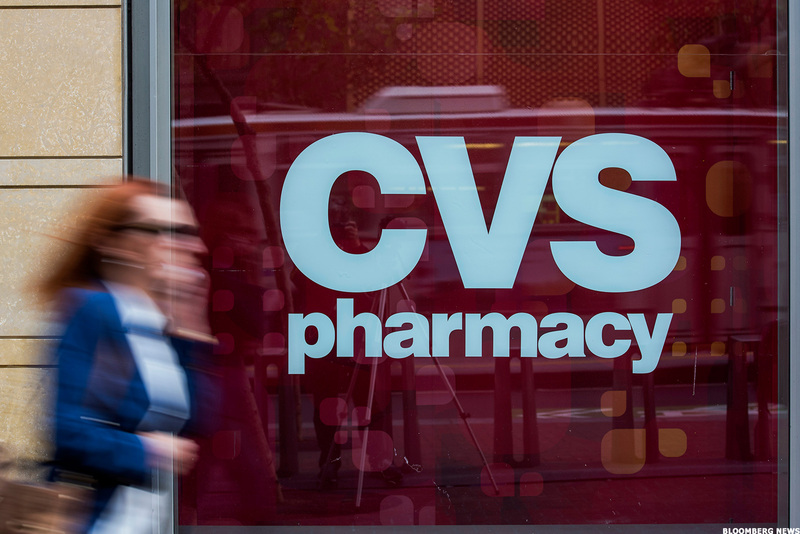 TheStreet's Rating for CVS, is an A+, with the stock price currently at $104.18, up nearly 4% for the day. TheStreet's Rating for PharMerica is a B, selling at $33.15, up 1.5% for the day.